Save 10% on 12-19 or Save 20% on orders of 20 or more. 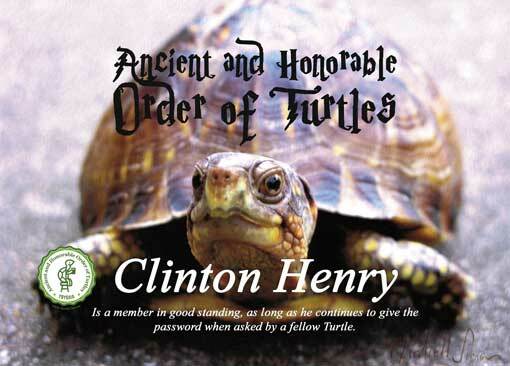 Procure new members by proudly wearing this Are You A Turtle? Lapel Pin. 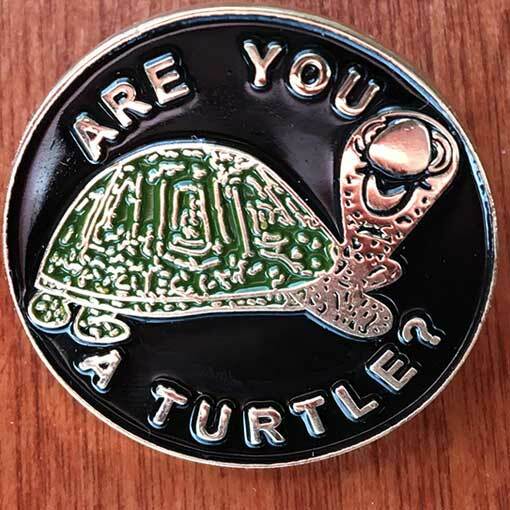 Gold Plated relief of Turtle and Are You A Turtle? Buy 12 to 19 and save 10% each or Buy 20 or more for your Pond and you save 20%! We want to encourage those procurements! You will see the discounted price in your cart.